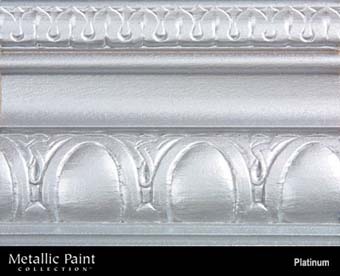 Paint Colors :: MANUFACTURERS :: MODERN MASTERS :: Metallic Paint Collection :: MODERN MASTERS METALLIC PAINT 92008 ME-591 PLATINUM SIZE:1 GALLON. MODERN MASTERS METALLIC PAINT 92008 ME-591 PLATINUM SIZE:1 GALLON. RUSTOLEUM 7752830 SPRAY HUNTER GREEN HIGH HEAT ENAMEL SIZE:12 OZ. SPRAY PACK:6 PCS. VARATHANE 13943 224457 PROVINCIAL 430 GEL STAIN SIZE:QUART.